The Mediterranean Islands and the Cote d'Azur offer superb summer sailing and are unequaled in their natural beauty, cultural heritage, glamour and style. The sudden freedom to stay where you want, move when you want to, relax completely and at the same time have plenty to do. 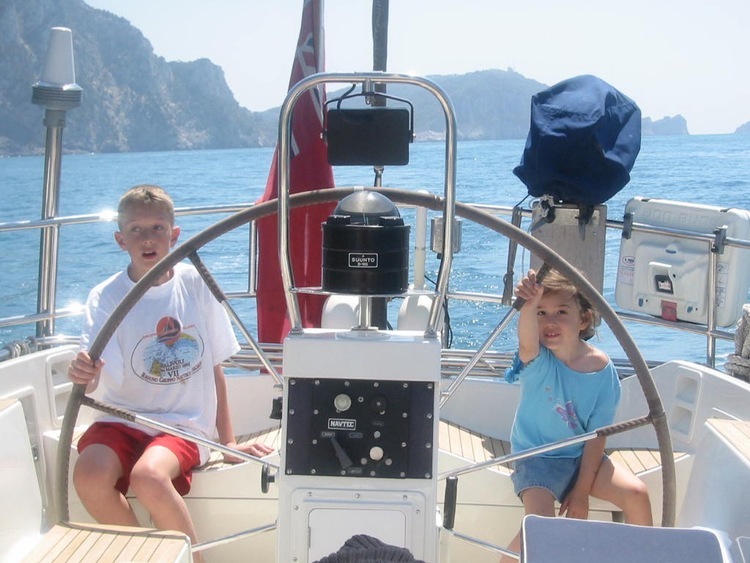 Sail, swim, snorkel, visit a village, shop in a town, have fun with your children, go out for drinks or a meal, lie around, read, listen to music, explore a food market, party... the list goes on. These holidays are for you, so please tell us the vacation style that suits. We've visited all the beaches, know most of the restaurants and bars, can prepare some wonderful food on board, and will let you do as much or as little as you wish. We can share what works! Often called the White Island from its typical architecture, and one of the best-known islands in the world. Beautiful beaches, azure blue waters, stunning scenery, legendary nightclubs and lively atmosphere. Fly to Ibiza to join the yacht. The smallest of the Balearic Islands (just 12 miles top to bottom) and located just off the coast of Ibiza, so good for a day trip. 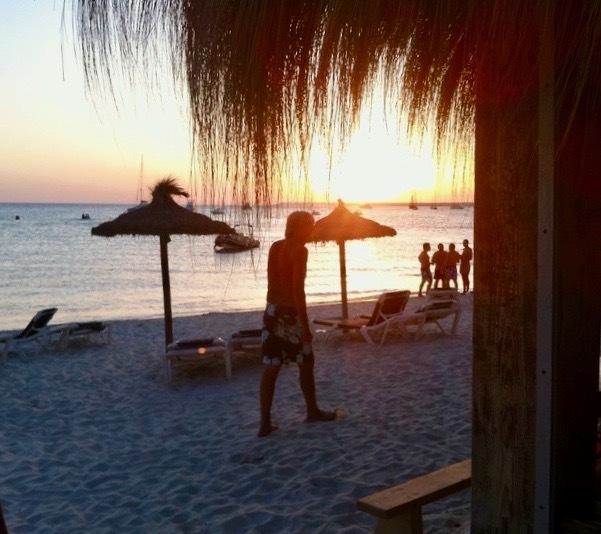 Some of the most popular beaches are spread along the northern peninsula facing Ibiza, and most are home to small beach bars just perfect for watching the sun 'down' with a drink in hand and the music playing. The least commercial, the island has preserved its striking natural beauty and traditional Spanish heritage. Justiﬁably known for its beaches, these are far from all it has to offer. See the countless archaeological sites, magniﬁcent examples of medieval architecture and comprehensive, fascinating museums. Fly to Mahon. Old Palma is a marvel and an essential visit. The rest of the island has some of everything, including a lovely train ride from the 1920’s right across it. Fly to Palma. The whole coast is a very popular cruising area with constant sunshine, azure waters and some of Europe’s favourite beaches. Antibes is where the private yachts of the super-rich moor, right next to old town. It is an excellent starting point to explore Cap Ferrat and east to Monte Carlo. Or sail west to St Tropez, and stroll with the rich and famous in the little town that deserves a place on any charter itinerary. There are back streets to explore, many boutiques, and a wonderful market for everything from fresh flowers to food to antiques. Three miles of curving white sand in the famous Pampelonne Bay are nearby, and you can enjoy a sunset drink in one of the many cafes lining the dock, or dine in a leafy square. South of St Tropez are the delightful Porquerolles Islands (Iles d’Hyères). Rent a bike, cycle the car-free trails and live the easy island life. Ile de Port Cros is a protected nature reserve. Training and tuition if requested.